identity strategy. Without it, they have no way to identify and engage with their customers in a meaningful way — whether it be through a laptop, mobile phone, tablet, connected car, healthcare wearable, connected home device or the next great connected innovation. 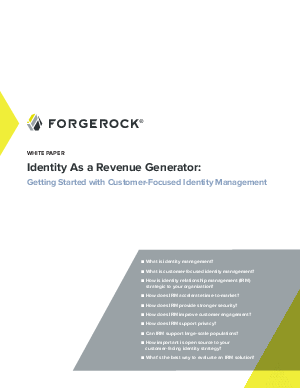 This guide is designed to help you understand the essentials of customer-focused identity and how it helps you engage with your customers.